One of Speedo's staple favourites, this 22cm aquashort is great for lap swimming. Made from Endurance, an exclusive Speedo fabric designed to last longer, it is 100% chlorine-resistant to prevent snagging and fading 20 times longer than any other swim fabric. This fabric also features 4 way stretch technology for added softness and comfort. Excellent product...son is growing out of the one he's using now...which is also a Speedo product. 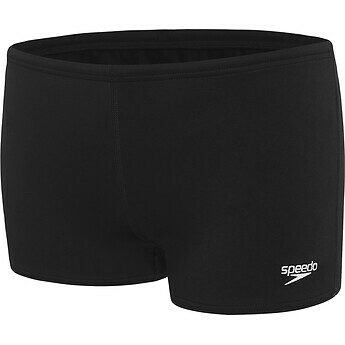 Always used Speedo products for its durable, light-weight, comfortable and great quality material.